Does your business/startup have enough Traction to get you a seat on the TractionBus? TractionBus is a mobile start-up pitching competition for African businesses/startups. The TractionBus will be visiting 5 hubs in Gauteng to expose entrepreneurs to the startup ecosystem and the different offerings by the different hubs. The hubs will have 5 entrepreneurs allocated to each and only one entrepreneur in each hub gets a seat on the TractionBus. The 5 winners from the 5 hubs will then participate in the finale for potential investment at #THUDfest2015 on the 18 November at 16:00 in front of investors and mentors. The purpose of the TractionBus is to connect, expose and celebrate the startup ecosystem participants as well as exposing entrepreneurs to the different offerings by each ecosystem participant. StartUp Edge, the competition organisers, have partnered up with 5 hubs to ensure that entrepreneurs from different industries have access to resources, incubation and mentorship provided by these hubs. The five hubs are; The Innovation Hub in Pretoria, Riversands Incubation Hub in Midrand, BizFarm also in Midrand, Alphacode in Sandton and Sophiatown Green incubator. The winning entrepreneurs will get prizes in excess of R200 000 in terms access to office space, mentorship and support to access markets and funding. Participants can enter online by filling out the entry form on the StartUp Edge web site, and the main requirement is that the Business/startup must be less than two years old. Entries will close on 31 October. 25 finalists will be announced on 4 November, the finalists will have to attend a pre-competition training on 11 November. The competition will happen the following week, 18 November starting at The Innovation Hub in Pretoria and ending off at Sophiatown Green Incubator before heading to the finals at THUDFest. The public is invited to come to the finals at THUDFest to engage with the hubs and investors present on the day. To learn more about the TractionBus or StartUp Edge please use the contact details below. Ensly Dooms, also known as Urban Enzo, has always been a big dreamer. 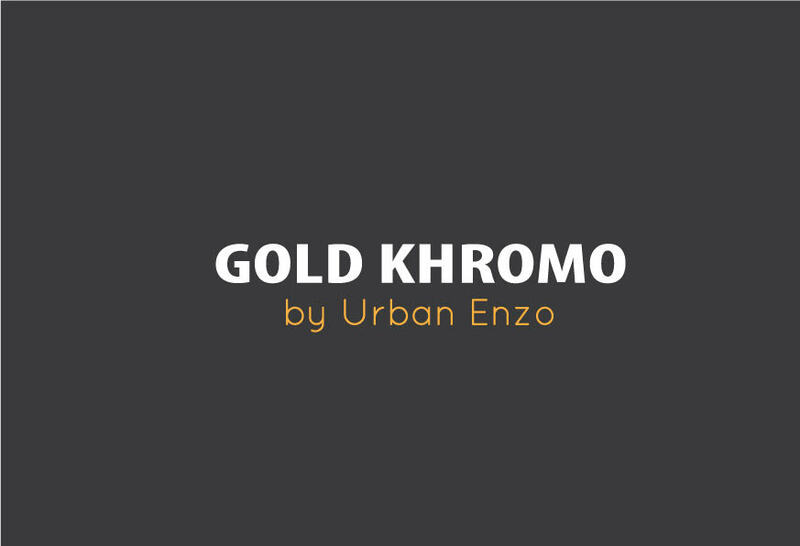 His passion for music, travel and determination to succeed in business has led to the launch of his own earphone range called Gold Khromo by Urban Enzo. The 25 year-old originally hails from Eldorado Park in Johannesburg South, a community stricken with poverty, drugs and unemployment. His surroundings in this environment did not hamper his entrepreneurial drive. “Having my own earphone range has been a dream in the pipeline for the last two years. I have always been critical as to how I want music to sound, from the clarity to the bass and to the design – but I could not find one that matched my requirements,” said Enzo. 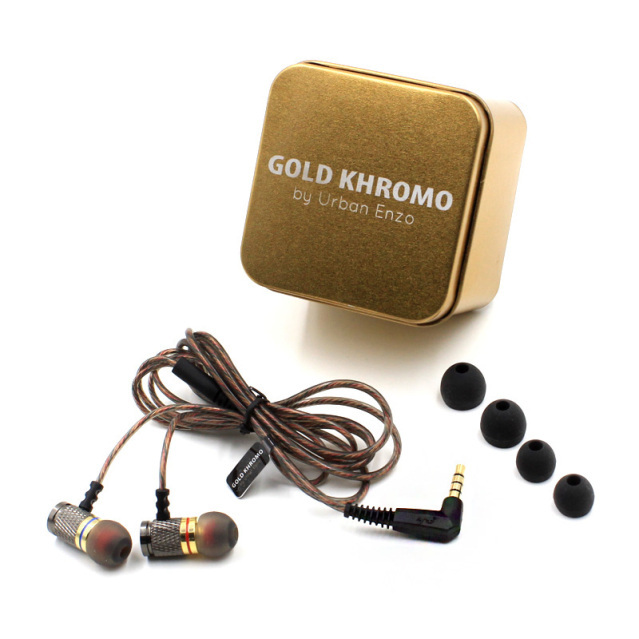 The lightweight Gold Khromo offers superb sound quality at every frequency and has a premium design to match. The earphones are sleek and stylish with luxe finishes of gold and metal on each side. Khromo also features a bullet design made out of metal, copper and mesh. It has a 56 core wire with four professional-grade balance pins allowing the music conduction rate to be close to perfect at 99.9998%. It also features a gold plated 3.5mm plug and noise-cancelling technology. Enzo wants to be a role model to the youth in his community. “I want to show them that irrespective of your background, anything is possible with hard work and determination,” concludes Enzo. This has been a discussion and topic among the young entrepreneur that i keep meeting and networking with along my way. As you meet lots of new people and personalities across different industries, This is the one thing i found that alot of those people mentioned. It was to be successful millionaire by the time they reached the age 30. This has made me do alot of research, reading, discussions and many nights of google to help me answer this simple yet taboo topic, and as being apart of the Entrepreneur Network, i was sent this article which in all my research is one of those which i had to post and share. The below top 10 simple, yet realistic step is from Grant Cardone who is an international sales expert, New York Times best-selling author, and radio show host of The Cardone Zone. He has founded three companies: Cardone Enterprises, Cardone Real Estate Holdings, and the Cardone Group. 2. Don’t show off — show up! I didn’t buy my first luxury watch or car until my businesses and investments were producing multiple secure flows of income. I was still driving a Toyota Camry when I had become a millionaire. Be known for your work ethic, not the trinkets that you buy. 3. Save to invest, don’t save to save. The only reason to save money is to invest it. Put your saved money into secured, sacred (untouchable) accounts. Never use these accounts for anything, not even an emergency. This will force you to continue to follow step one (increase income). To this day, at least twice a year, I am broke because I always invest my surpluses into ventures I cannot access. 4. Avoid debt that doesn’t pay you. Make it a rule that you never use debt that won’t make you money. I borrowed money for a car only because I knew it could increase my income. Rich people use debt to leverage investments and grow cash flows. Poor people use debt to buy things that make rich people richer. 5. Treat money like a jealous lover. Millions wish for financial freedom, but only those that make it a priority have millions. To get rich and stay rich you will have to make it a priority. Money is like a jealous lover. Ignore it and it will ignore you, or worse, it will leave you for someone who makes it a priority. 6. Money doesn’t sleep. Money doesn’t know about clocks, schedules or holidays, and you shouldn’t either. Money loves people that have a great work ethic. When I was 26 years old, I was in retail and the store I worked at closed at 7 p.m. Most times you could find me there at 11 p.m. making an extra sale. Never try to be the smartest or luckiest person — just make sure you outwork everyone. 8. Get a millionaire mentor. Most of us were brought up middle class or poor and then hold ourselves to the limits and ideas of that group. I have been studying millionaires to duplicate what they did. Get your own personal millionaire mentor and study them. Most rich people are extremely generous with their knowledge and their resources. 9. Get your money to do the heavy lifting. Investing is the Holy Grail in becoming a millionaire and you should make more money off your investments than your work. If you don’t have surplus money you won’t make investments. The second company I started required a $50,000 investment. That company has paid me back that $50,000 every month for the last 10 years. My third investment was in real estate, where I started with $350,000, a large part of my net worth at the time. I still own that property today and it continues to provide me with income. Investing is the only reason to do the other steps, and your money must work for you and do your heavy lifting. 10. Shoot for $10 million, not $1 million. The single biggest financial mistake I’ve made was not thinking big enough. I encourage you to go for more than a million. There is no shortage of money on this planet, only a shortage of people thinking big enough. When i started this little venture of doing my own online entertainment magazine, the challenges and adaption to the entrepreneur lifestyle. 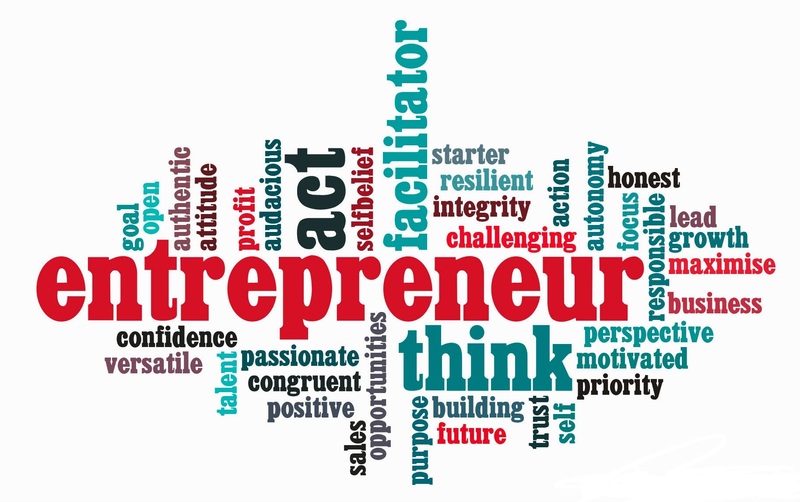 I remember while i was still doing my research i came across this article on the internet titled ”5 Realities of being an Entrepreneur?” I had to just look at the main points again after been doing the online magazine for 2 months now, just to evaluate the current position of my venture and to understand why i was doing all of this. At the end of the day, we all have dreamt of iy and not many of us had tried working on it. Maybe we not sure of which our BIZNIZ is right now, but be sure that we all have our BIZNIZ.